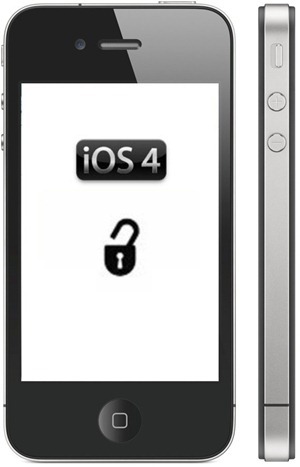 As we know there was no proper iPhone 4 baseband unlock solution available, and many of iPhone users are hoping free of cost software based unlock solution from iPhone Dev Team and some of them are gone with Gevey SIM Interposer which brings you to unlock your iPhone Baseband but it costs, so guys like always we come up with another interesting thing here, now you can unlock your iPhone 4 baseband without the use of any SIM interposer. Well Well, guys you think that we are making you fool or just doing crap, so guys you are wrong we really come up with shocking news, here is a guy with name of “Dill Huang” who comes up with the new thing. He tested two SIM’s on his iPhone 4 which was carrier locked Bell Mobility Canada to demo the 112 exploit used by iPhone baseband without GEVEY or any SIM. He named the SIM’s with (SIM A & SIM B), SIM A is un-official SIM and SIM B is a test SIM which is on another carrier (Vodafone), but has a “test” IMSI instead of real value. As shown in video, DillADH aka Dill Huang, inserts SIM A in his iPhone 4 and dials 112 and hangs up immediately (within 2 sec). He then toggles to Flight Mode and removes SIM A and Inserts SIM B and then Turns-off the Airplane Mode. Now your iPhone 4 Baseband is Unlocked! We just got this information from this source.